Betty your rainbow flowers are so pretty!! beautiful soft look to this! This is so pretty, Betty! It looks soft and elegant with that vellum layer! So ethereal looking. Brilliant to use vellum to soften the colors. Just love your soft layered flowers, Betty! 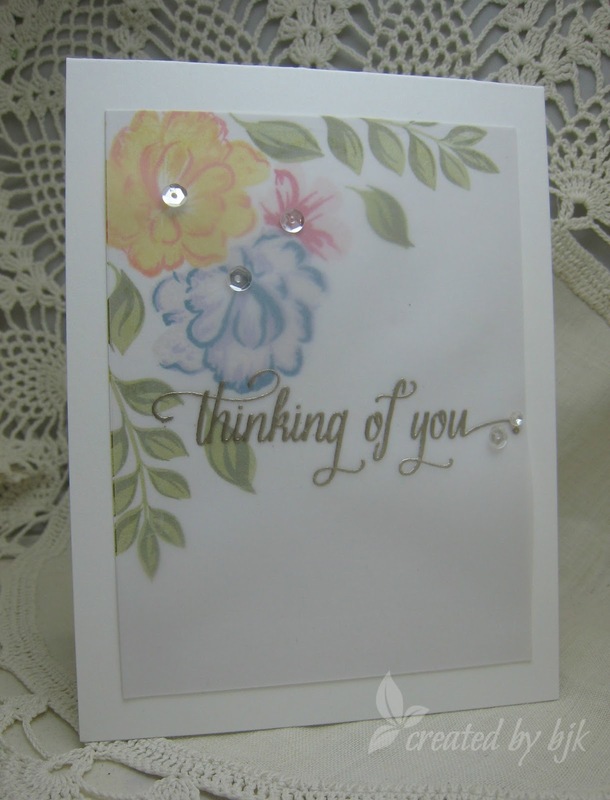 Gorgeous card, Betty! I love how you played with the rainbow of colors on the blooms and your masking is so lovely! I recently got those flowers & need to ink them up! Love your card, Betty!